LEE’S SUMMIT, MO, January 29, 2019 — Sherri L. Weaver Design, L.L.C. of Lee’s Summit, MO has won “Best of Customer Service” on Houzz®, the leading platform for home renovation and design. 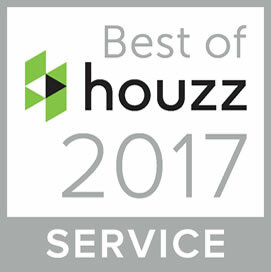 The residential design firm was chosen by the more than 40 million monthly unique users that comprise the Houzz community from among more than 2.1 million active home building, remodeling and design industry professionals. About Sherri L. Weaver Design, L.L.C. Our projects have ranged from the designs for rearranging a master bath to gutting a home, redesigning the existing space and adding new space to that existing space, to starting from scratch on the design of custom homes from 1100 to over 7000 finished square feet. We have the ability to show you your home or remodel in 3D before it is built, helping to take some of the “fear factor” out of the custom design process for those who have never experienced it before.